Michelle Sheppard has worked at Paradise Physiotherapy since 2003. She graduated in 2002 from McMaster University with a Master of Science in Physiotherapy. Prior to this, she completed a degree in kinesiology (specializing in athletic therapy) at Acadia University. 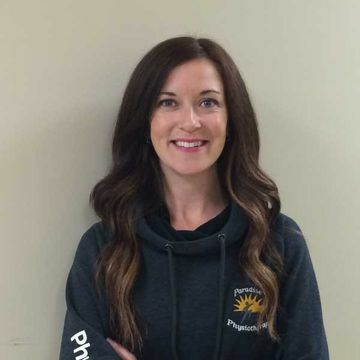 She is a member of the Canadian Physiotherapy Association, the Newfoundland and Labrador Physiotherapy Association, the Newfoundland and Labrador College of Physiotherapists and The Running Clinic. Michelle currently sits on the board of directors for the Newfoundland and Labrador Physiotherapy Association as well as the Mt. Pearl Minor Hockey Association. In her spare time, Michelle enjoys outdoor activities and spending time with her young family. 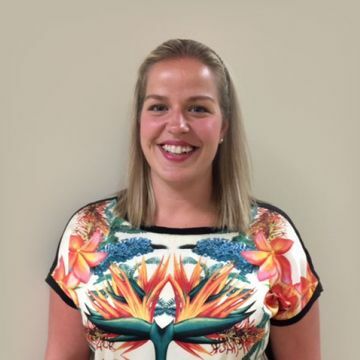 She also enjoys volunteering with sports teams and tries to incorporate her active lifestyle and sports experience into an active approach to physiotherapy treatment. Raeleen graduated from Queen’s University with a bachelor’s of science in physical therapy. Prior to graduating from Queen’s, she attended Acadia University and graduated with a degree in physical education specializing in athletic injuries. She is currently a member of the Canadian Physiotherapy Association and the Newfoundland and Labrador College of Physiotherapists. She previously held positions of member at large, treasurer and chairperson of the NLCP and sat on the board of directors of the Canadian Alliance of Physiotherapy Regulators. She is also a member of the Newfoundland and Labrador Physiotherapy Association and the Running Clinic. In her spare time, she can usually be found near or on a soccer field. Raeleen has had an extensive career in soccer and has earned numerous provincial, national and university awards. The highlight of her university soccer career culminated in being named the CIAU Canadian Player of the Year. Recently, she has been inducted into the Newfoundland and Labrador Soccer Hall of Fame (NLSA) and the Mount Pearl Soccer Hall of Fame. In addition, as a tribute to her success the Jubilee Cup ladies soccer league has named the regular season MVP award after her. Currently she is coaching U12 soccer with the Paradise Youth Soccer Association as well as the U13 Provincial Team and sits on the Paradise Elementary School council as a community representative and secretary. Courtney graduated from Dalhousie University as the valedictorian of her Master of Physiotherapy class. Prior to relocating to Newfoundland, she was a research coordinator at Dalhousie University in the field of stroke rehabilitation. Courtney also completed the Bachelor of Kinesiology Honours program at Memorial University of Newfoundland and is a member of the Canadian Physiotherapy Association and the Newfoundland and Labrador College of Physiotherapists. Courtney has also traveled to Halifax, Nova Scotia for an interdisciplinary paediatric conference. She was a participant in the Easter Seals Drop Zone in 2013 along with her colleagues from Paradise Physiotherapy, the event’s top fundraisers. She also trained the NL Easter Seal National Bocci Ball athletes in 2015. In her spare time, Courtney can usually be found with her husband, her two children and dogs enjoying outdoor activities, including canoeing, fly fishing and hiking. Courtney has a love for animals, especially her Bernese mountain dog, Lottie, and her Leonberger, Fisher. Courtney has completed the introduction course in animal rehabilitation and is hoping to complete the practical component next fall. She looks forward to meeting with you to discuss an active rehabilitation plan in the clinic and is also available for home visits. Ryan graduated from Queen’s University in 2007 with a master’s degree in physiotherapy. In 2009, he completed his master’s degree in kinesiology at Memorial University of Newfoundland (MUN) with a research focus in stability training. During this time, he had a publication in the Journal of Strength and Conditioning. In addition, as a graduate student at MUN, Ryan taught Kinesiology 1001 as a peer course instructor. 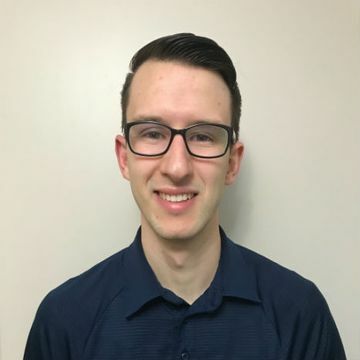 Ryan has professional memberships with the Canadian Physiotherapy Association (CPA) and the Newfoundland and Labrador College of Physiotherapists (NLCP). 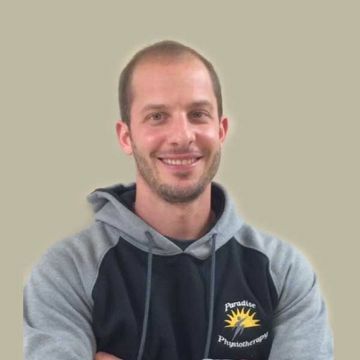 He has completed further courses such as advanced manual therapy levels I, II and III, orthotic and gait analysis, soft tissue release, acupuncture and personal fitness and lifestyle consulting. In his time outside of work, Ryan enjoys outdoor sports and activities and volunteering with local sports teams. Ryan has been weight training for 20 years and enjoys personal training and implements these ideas into his treatment regimes. He will be using his vast knowledge to develop and instruct Paradise Physiotherapy’s motor vehicle accident rehabilitation program. Jayne graduated from Memorial University in 2013 with a bachelor’s degree in biochemistry. She then went on to pursue her dream and graduated with a master’s degree in physiotherapy from Queens University in 2015. During her time here, she was awarded the Canadian Institute of Health Research Award. Jayne has professional memberships with the Canadian Physiotherapy Association (CPA) as well the Newfoundland and Labrador College of Physiotherapists (NLCPT). She has continued to expand her education with advanced courses in manual therapy level 1 and is pursuing additional courses such as acupuncture, active release therapy, manual therapy level 2 and orthotic and gait analysis later this year. In her spare time, Jayne enjoys working out, hiking, playing sports and learning yoga. She also enjoys volunteering with various sport and athletic groups. She looks forward to meeting you and using her active approach to help you develop your individualized physiotherapy program. Lori graduated with a bachelor’s of science degree in physiotherapy from Dalhousie University in 2005. Upon graduation, she received the University Medal in Physiotherapy, The CPA Paediatric Division/ School of Physiotherapy Paediatrics Award, and the Prince Edward Island Branch of the CPA Award. Prior to this, she completed 3 years of an animal science degree at the Nova Scotia Agricultural College. 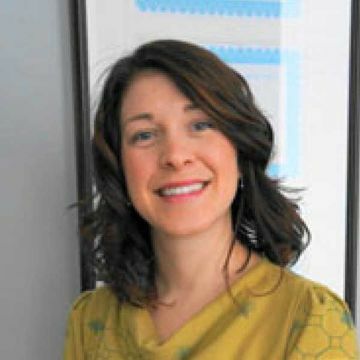 She is a member of the Canadian Physiotherapy Association and the Newfoundland and Labrador College of Physiotherapists. Lori’s main professional focus at this time is treatment of pelvic floor conditions such as incontinence and pain. She hopes to expand this knowledge through advanced education courses. In her spare time, Lori enjoys relaxing with her husband, 2 children, dog and 3 cats. She enjoys outdoor activities such as hiking, soccer and kayaking and has trained in kickboxing for the last 4 years. She runs 2 online businesses and likes to crochet during any spare time she can find. 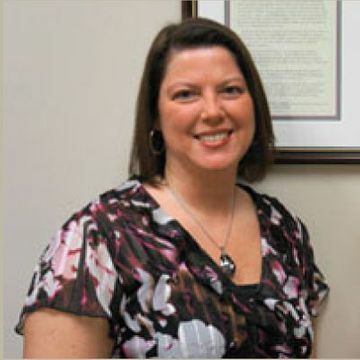 Lori enjoys getting to know her clients and likes complex injuries. She loves a good challenge! Jeff graduated Queen’s University with a Master of Science degree in Physical Therapy program. Prior to this, Jeff completed his Bachelor of Kinesiology degree with honours at the Memorial University of Newfoundland with a research focus on the effects of Kinesio tape. He is a member in good standing with the Newfoundland and Labrador College of Physiotherapists and the Canadian Physiotherapy Association. Jeff has completed post-graduate courses in acupuncture and dry-needling, and fall prevention. He is also certified in the management of persistent pain conditions. He enjoys working with all patient populations and helping them achieve the best possible therapeutic outcomes. In his spare time, you will likely find him at his family’s cabin hunting and fishing, as well as playing guitar around the campfire. Besides this, Jeff is also a regular recreational hockey player, runner and avid golfer. 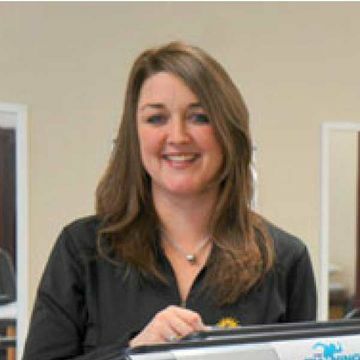 Pamela has been a registered massage therapist since graduating from the Canadian College of Massage and Hydrotherapy in Sutton, Ontario in 1995 with an award for outstanding academic achievement. Prior to studying massage therapy, Pamela attended Memorial University. She is a member in good standing of the Newfoundland and Labrador Massage Therapists Association and the College of Massage Therapists of Newfoundland and Labrador. Pamela is a former instructor and clinic supervisor of massage therapy at the College of the North Atlantic and the Newfoundland Career Academy. She is also a former community outreach coordinator for these local massage therapy programs with an emphasis on sports and geriatric massage. Continuing education and certifications include neuromuscular therapy, myofascial therapy, TMJ therapy and many others. In her spare time, Pamela enjoys running, reading and spending time with her family. Deidre Baker began her career in 2003 after graduating with honours from Northumberland College in Halifax, Nova Scotia. She thoroughly enjoys her career and the paths it has taken her over the years. Since graduation, Deidre has worked with many health care providers and has taught the massage therapy program in St. John’s. She has taken various courses, including adult education, sports nutrition and deep tissue massage. 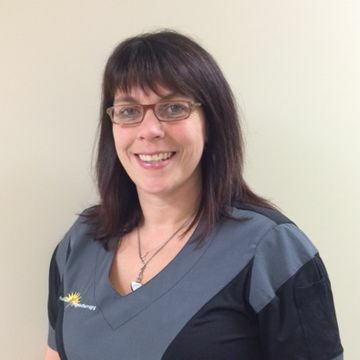 Deidre is an active member in good standing with the Newfoundland and Labrador Massage Therapy Association and the College of Massage Therapist of Newfoundland and Labrador. In her spare time, Deidre enjoys spending time with her husband and two playful girls. She enjoys the outdoors and cooking. Krysta graduated in 2011 from Academy Canada with a diploma in human science (massage therapy). Prior to studying massage therapy, Krysta attended Memorial University. 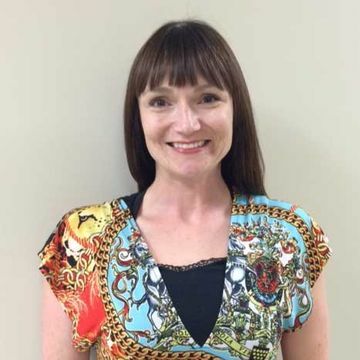 She is an active member in good standing with the Newfoundland and Labrador Massage Therapy Association and the College of Massage Therapists of Newfoundland and Labrador. Krysta has been with our team since 2012. She has also worked closely with professional athletes, spent time in geriatric homes and attended several sporting events. She is certified in Kinesio Taping and has received certifications in myofascial therapy, soft tissue release and more. In her spare time, Krysta loves to be active through CrossFit, swimming and running outdoors. She loves to be surrounded by her family, friends and her dog, Winnie. Amy has been a registered massage therapist since graduating from CompuCollege in 2007. 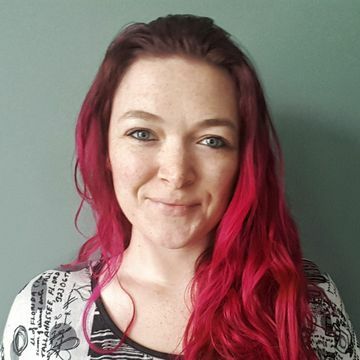 Her love of learning has allowed her to branch out from what most would consider traditional massage techniques and has enabled her to receive a diploma from Footsteps Reflexology School, located in Toronto, and ACE medicupping massage certification in Louisiana. ACE medicupping (or cupping massage) isn't well known in Newfoundland but Amy is determined to educate as many people as possible and to help each and every one of her clients fall in love with the many benefits of cupping treatments. She has taken it upon herself to learn anything and everything she can about fibromyalgia. With the knowledge she has gained, Amy is able to use her massage skills and techniques to help those who have been diagnosed with fibromyalgia. 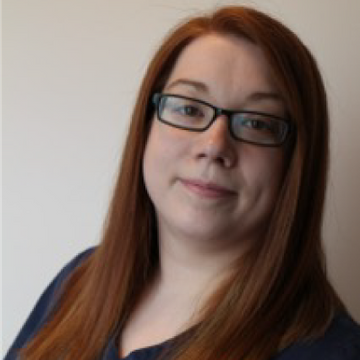 Amy is very passionate about her work and believes that holistic therapies, such as massage, is key to universal wellbeing and very important when it comes to unlocking the potential of the mind-body interface. In her spare time Amy spreads smiles and positive energy through volunteering and rocks. Sounds weird but if you ever find a #SmileRockNL it is sure to bring a smile to your face. 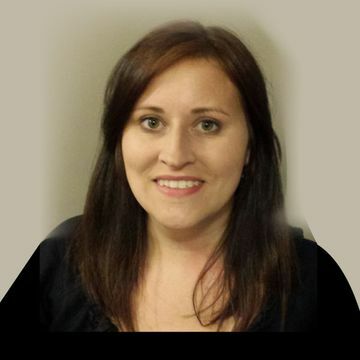 Erica completed her kinesiology degree from Memorial University in 2008, and Massage Therapy with Eastern College in 2014. Erica is also certified in Cupping Massage Therapy. She has a passion for learning, and spends time keeping up on current research. She is passionate about helping clients return to their normal daily lives, and is particularly interested in working with seniors. 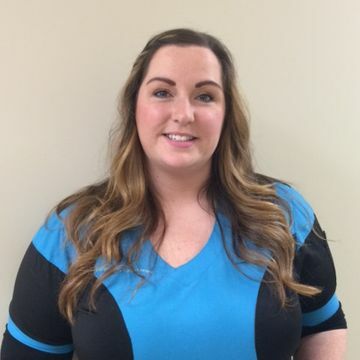 She is an active member in good standing with the Newfoundland and Labrador Massage Therapy Association and the College of Massage Therapists of Newfoundland and Labrador. In her spare time Erica plays roller derby and enjoys art, camping, cooking, and spending time with her two cats. Sara graduated from Mount Allison University in 2012 with a science degree, majoring in both psychology and sociology, while also playing on the women's varsity hockey team. 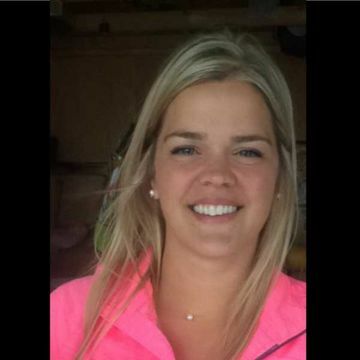 She was a student athletic therapist for Mount Allison's rugby team and helped with other varsity teams as well. She also received her Canfit Pro personal training certificate in 2011. When she moved back to Newfoundland, Sara attended Memorial University for a year, taking human kinetics courses in 2012 and 2013. Sara worked as a claims representative with an insurance company for just under a year when she decided she was going to go back to school for massage therapy at Academy Canada. Sara Graduated in May of 2017 and received certification in cupping massage therapy. Sara is a member in good standing of the Newfoundland and Labrador Massage Therapists Association and the College of Massage Therapists of Newfoundland and Labrador. She is interested in becoming part of the Canadian Sport Massage Therapy Association once she has gained more experienced and met the program’s requirements. In her spare time, Sara has been involved in coaching the under 16 and 18 provincial High Performance Program female teams since 2012. She will be part of the coaching staff for the 2019 Canada Winter Games as well. 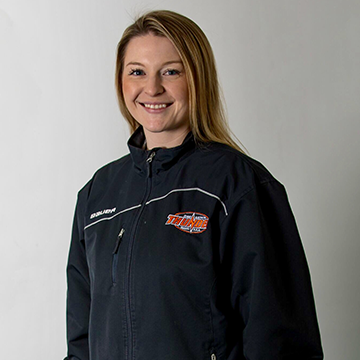 She is also a coach for the Tri-Com Thunder AAA peewee boys for the 2017/18 season. Sara also likes to play hockey, volleyball, and softball. She loves to spend time with her family (especially her nephew and niece), friends, and taking "bay"cations whenever possible. Dr. Lori Head-Reid, BSc. (Hons), DC, a doctor of chiropractic, has been a member of the Paradise Physiotherapy multidisciplinary team since 2008. She has always been interested in healthcare as well as the brain and the nervous system. She graduated Memorial University of Newfoundland in 1996 with a Bachelor of Science honours degree with a major in neuroscience and a minor in sociology. She has also obtained a criminology certificate (also from MUN) in 1994 while completing her Bachelor of Science degree. In 1996, Dr. Head-Reid moved to Toronto, Ontario to attend The Canadian Memorial Chiropractic College and graduated in 2000 with a doctor of chiropractic diploma. Although she enjoyed Toronto, she knew that she would return to Newfoundland to practice, with a future goal of working in a multidisciplinary clinic. She returned to Newfoundland in 2000 where she practiced in St. John’s until 2008, and then moved her practice to Paradise, as part of the Paradise Physiotherapy multidisciplinary team. Dr. Head-Reid is a member of the Newfoundland and Labrador Chiropractic Association, the Newfoundland and Labrador Chiropractic Board, the Canadian Chiropractic Association, and the Canadian Chiropractic Protective Association. 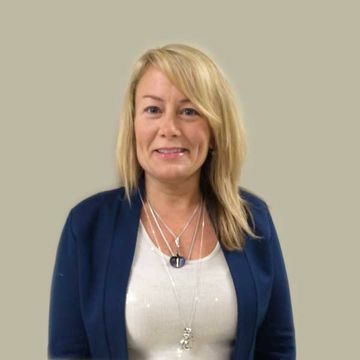 She has also served as secretary on the Newfoundland and Labrador Chiropractic Association Executive from 2002 to 2003, in which she received an award for distinguished service, as well as on numerous committees, including the Advertising Guidelines Committee. Dr. Head-Reid regularly participates in continuing education programs with courses in radiology, clinical and rehabilitation techniques, as well as ergonomics. She is very interested in ergonomics and posture and incorporates advice on these in her treatment plans with patients. Dr. Head-Reid has also been a member of the Mount Pearl Lion’s Club (2003-2014) with participation in the annual Mount Pearl Santa Claus Parade and has co-chaired the Battle of the Bands Event at the Mount Pearl Frosty Festival. Dr. Head-Reid has also enjoyed volunteering her chiropractic services at various sporting events (including the Scott Tournament of Hearts in St. John’s and at the Triathlon in Paradise). In her spare time, she enjoys travelling, cruises, attending various music concerts and spending time with her family and friends. 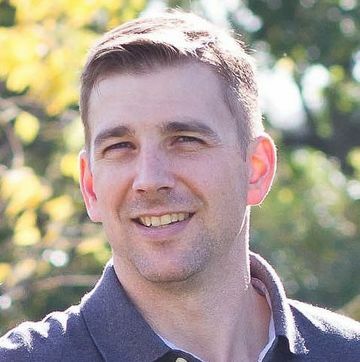 Dr. Ryan Larson DC graduated from the University of the Fraser Valley and Simon Fraser University in 2003. He continued his studies at the Canadian Memorial Chiropractic College in Toronto, graduating in 2007. To bring his clients to optimal health he uses a combination of chiropractic spinal manipulations, muscle release therapies, stretching, and functional spinal exercise. He works in the prevention, identification and recovery of persons with injuries to their muscles, bones and joints. His goal is to enable his clients to live, work and play at their activities pain free. Dr. Larson is a passionate sports enthusiast and outdoorsman. Dr. Larson rowed for the UFV Men's eight, four and quad teams as stroke and also played on CMCC’s men's hockey team. He is also a student of the classical guitar studying for his Grade 7 Royal Conservatory of Music exam. His young family, wife Diana and two boys Jonah and Marcus are from away. They have enjoyed discovering Newfoundland and Labrador together, including lots of hiking and birding adventures. He looks forward to serving the Chiropractic needs of the Rock! Laurie has been an integral member of the Paradise Physiotherapy team since 2004. 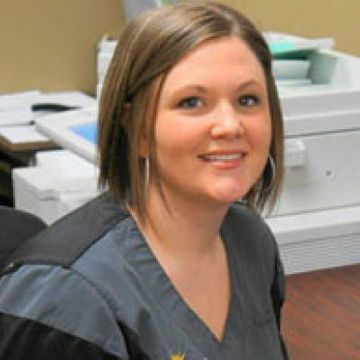 As our office manager, she is our go-to girl for our entire patient and staff needs. Laurie competently manages everything from booking appointments, to handling insurance claims, to sewing on buttons. Laurie is an honours graduate from Career Academy with a diploma in microcomputer specialist. She is certified in emergency first aid and level A CPR. Outside of work, Laurie enjoys running, weight training, playing soccer and spending time with family and friends. She looks forward to meeting you. Leanne graduated from O'Donel High in 2004. She then enrolled in Woodford's Training Centre where she graduated with a certificate in hairstyling, waxing and manicures in 2006. After a career change, Leanne started working at Paradise Physiotherapy Clinic in 2008. She enjoys many aspects of her job, she states however that there is no better feeling than when a patient comes into the clinic in pain and leaves with some relief! Leanne looks forward to coming into work each day and always has a smile on her face. Her coworkers and wonderful patients are what make her job so enjoyable. In her spare time, Leanne does some volunteer work with an animal rescue group, RescueNL, and enjoys spending time with her two dogs, Lucy and Penny. She loves camping, fishing, photography, music and her family and friends. You will see this smiling face when you enter Paradise Physiotherapy’s doors. Nicole has been a member of Paradise Physiotherapy's administrative team since 2011. She is a great addition to our front desk staff and is devoted to providing friendly and efficient customer service. Nicole attended Mt. Pearl Senior High School where she graduated in 1997. She then attended Academy Canada where she received a diploma of social sciences in criminology in 2001. She has completed further training in suicide intervention, non- violent crisis intervention, critical incident and stress debriefing, and grief counseling. Outside of work, Nicole loves spending time with her family and friends and listening to all types of music. She enjoys the outdoors, camping, fishing and hiking. She can usually be found on Sunday's sitting in front of the TV watching the Giants play football!